A bi-vocational pastor in California who planted a church with a particular ministry to ex-cons, like himself. An engineer turned church planter in Portland, with a 4 year old church of 300, who described how web software is enabling church members to help one another. And many more! I wished I had more opportunities to meet other Canadians (nary a one), Anglicans (I met a few), people familiar with Fresh Expressions (none) or people trying to connect with the non-churched (several). I did go to a specific networking session to meet some US Anglicans, but this was no highlight! 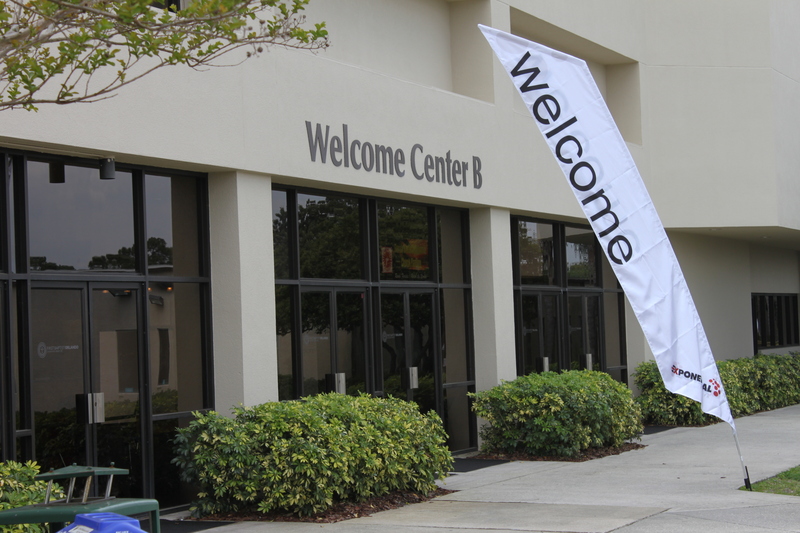 As I shared the kinds of Fresh Expressions I am working on, trying to connect with completely non-churched people by serving their needs and building communities where discipleship happens and worship can arise, I noticed that US Evangelicals were thrilled. They are not as secularized or post-Christian as Canada, and so church planting for them is focused on the dechurched, but they could see this is where they’re headed and want to know more. The US Anglicans, however, seemed dumbfounded. This was depressing. I’m sure that’s not representative of everyone, but it’s who I met! One overall impression: Canadian Anglicans are way ahead in thinking about reaching the non-churched. American Evangelicals are way ahead in starting new worshipping communities for the dechurched. We both have something to learn from each other! 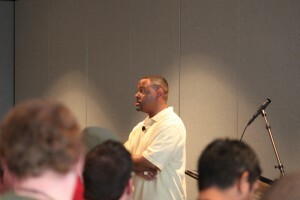 Doing multi-racial ministry was a huge theme. Proclaiming the gospel as both a personal justification, and also about the Kingdom, of God. 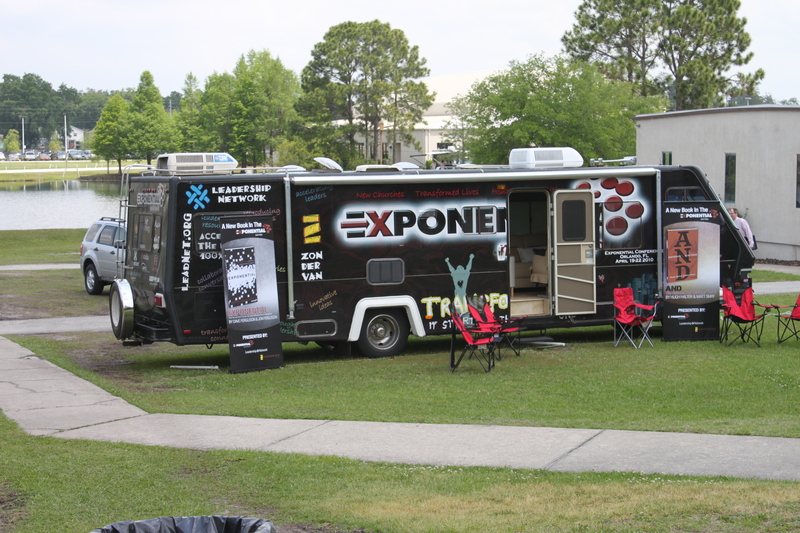 One speaker described this as the gospel on the ground, and the gospel in the air. They are trying hard to balance both ways of describing the same gospel, after decades (or longer) of polarity. Anti-Consumerism – This was a real thread among the speakers. 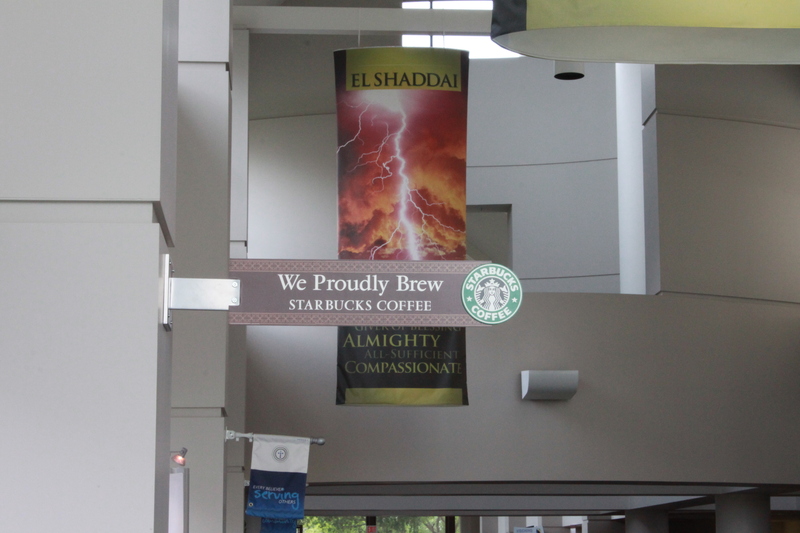 It stood in stark contrast to our surroundings – a Southern Baptist mega-church with a Starbucks in it, at a conference with booths representing major Christian publishers, church planting organizations and anyone else who had something to sell! The deals were great, and I appreciated the free stuff, but it was a curious contrast with the anti-consumerist message. I’m still sad I didn’t win any of the three iPads, however! iPads – So many speakers made jokes, or used the iPad as an example of what’s wrong in society. But there were three available to be won at booths downstairs! Attractional & Missional – There is a growing sense that the church, as a whole and locally, can be both attractional and missional. In Canadian Anglican circles, we are calling this the Mixed Economy. 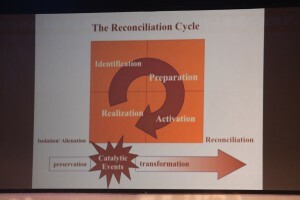 In the US, they are using the language of being attractional AND missional, to the point of running a conference and publishing a book named AND. Jesus – Last but definitely not least. There was a real trend to get beyond labels and movements (missional, attractional, church growth, emergent, whatever…) and simply follow the movement of the Holy Spirit, and follow Jesus. There was a desire to strip away what is not of God, and simply plant the gospel in communities. 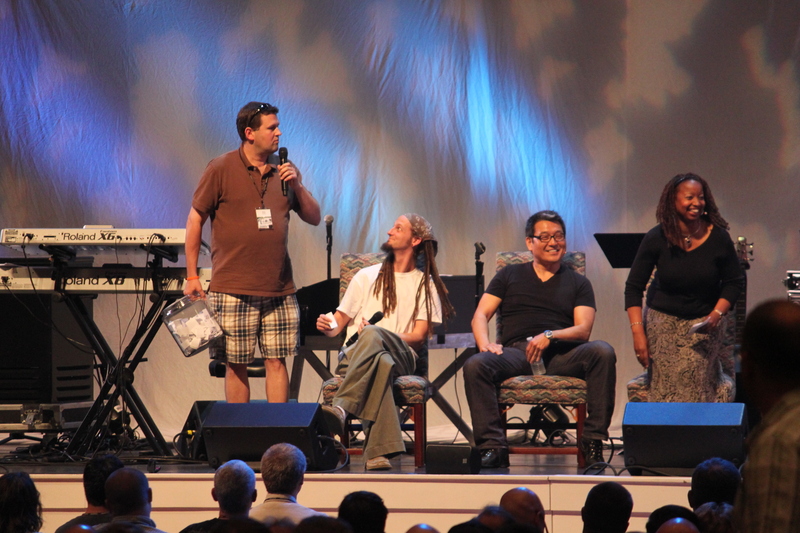 The conference began with communion, not distributed to our seats, but done “drive-by” style. I hadn’t expected that at this conference! The conference ended with an invitation to be anointed. Same surprise! 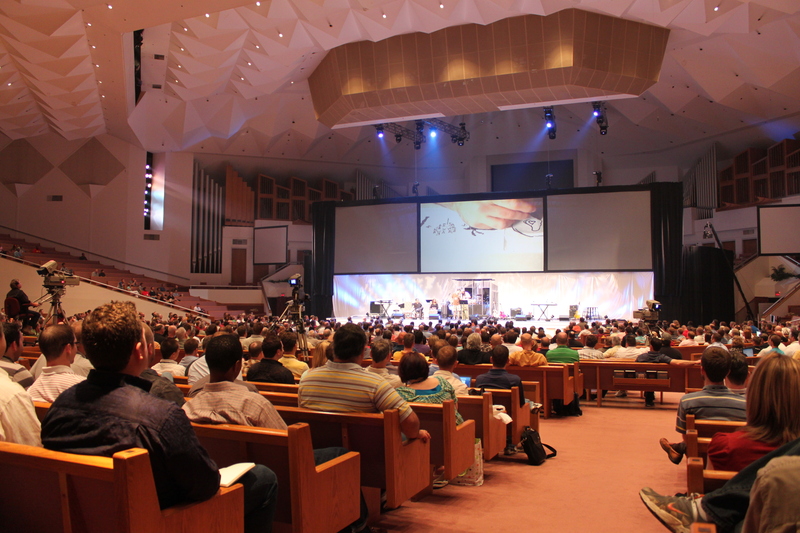 The size of the conference – I knew it would be big, but not 3000+ big! The free books and resources – my luggage was way overweight! That’s all for now. I definitely hope to attend another year, but not alone. I was an anomaly in three respects – being Canadian, and Anglican, and focused on the non-churched as well as the dechurched. I would have gained so much more having some conversations with other pastors at the pub after each day, but most of the other pastors there did this with their own teams, and aren’t allowed to enjoy a beer anyway! Anyone interested in attending the next one? 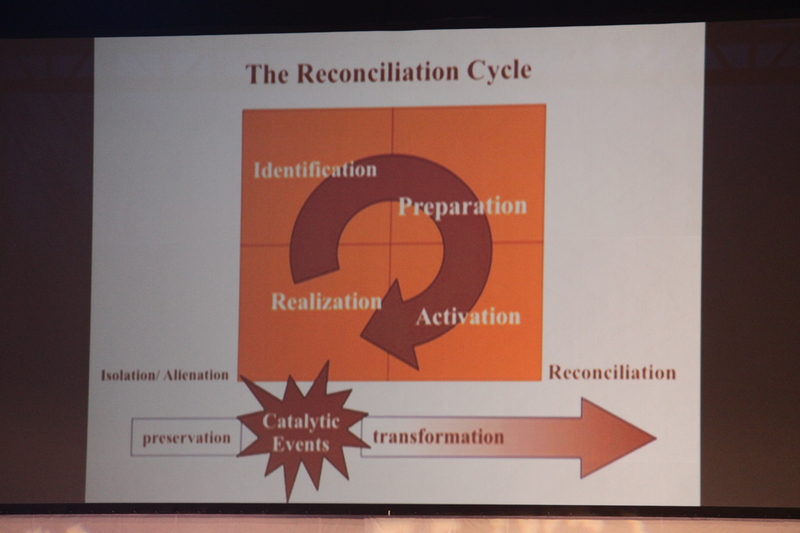 It will be focused on AND – being both missional and attractional. Definitely worth attending with a Canadian Fresh Expressions team…and at least one round is on me! The conference ended almost a week ago, but here are a few notes from my final workshop, on coaching. The workshop was with Bob Harrington, a Canadian now living in the southern US, working with the Restore Training Center, all about the training of msisional church planters. 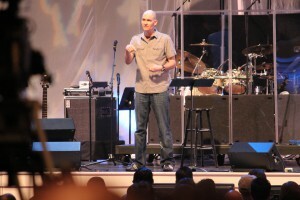 The host church’s web site is http://www.harpethcc.com/ but he also works with Stadia. Releasing – Letting people go, assuming they know what to do. A mentor goes ahead and pours themselves back into someone else, while a coach comes alongside and draws out questions. A consultant comes as an expert, sets an agenda, brings expertise, gives solutions and content. A coach brings expertise in asking good questions, helping a person articulate their goals, and gives process. Tangible Kingdom is a good resource for missional coaching. we need a rule of life, too. Ideologies don’t demand much of us, but our practices do. 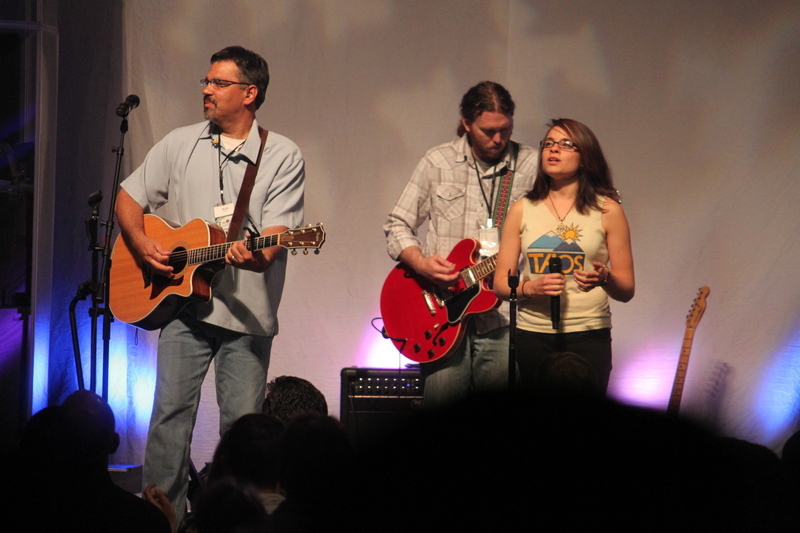 Dave Gibbons is lead pastor of Newsong, an international multi-campus church. Maybe our metrics should be to have no foster kids in any city where Christians live. 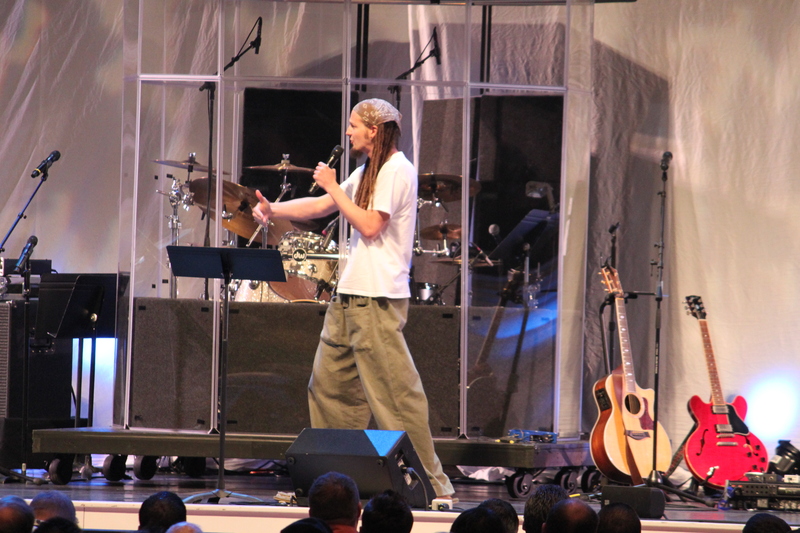 Don’t join a movement (he warned that the megachurch movement became the multi-campus movement and became the organic movement, then the missional movement) but instead join the movement of God. Walk the streets, the streets will speak to you. This was a plenary session packed with speakers! The point is they’re not coming! Is the city better of because we’re here? “We had a good Sunday” – so what? Is the quality of life better in our community? I can’t find one book on the theology of adventure or risk as it pertains to God. This affects us, makes us risk averse and safety obsessed. Jesus is wild and uncontrollable. Church should be like Jesus, and if not, something is fundamentally wrong: unchristlike, boring, insecure, and fearful of one another. 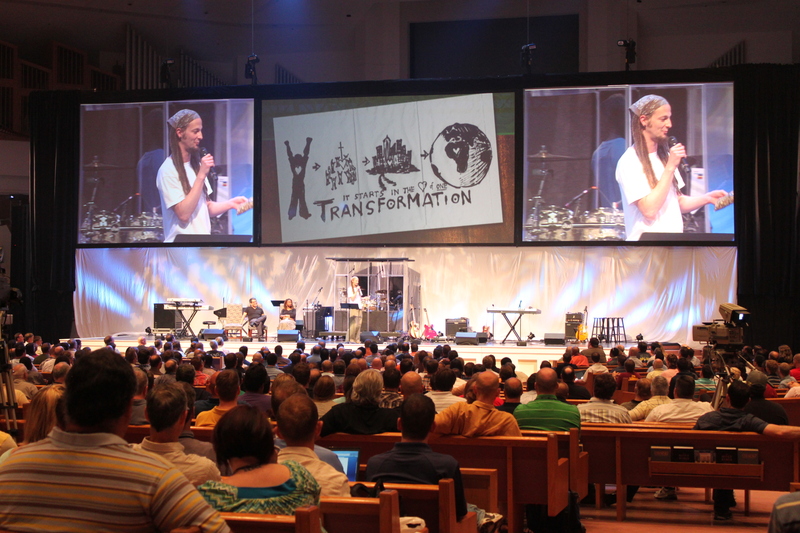 God desires to advance his Kingdom through our transformed and transforming lives and churches. Church Planters are bridesmaids for Christ & his church. The day Jesus came, the NASDAQ of heaven went crazy. God gave us Kingdom capital. Be a Star Trek church planter, go where no man has gone before. My first workshop of the day was with Efrem Smith, who planted Sanctuary Covenant Church, a multi-ethnic church plant in Minneapolis. He started with a core group of 22, that grew to 80 before launch day. A core team is vital to multi-ethnic planting. It should equip and empower people serving with you around something that’s very important. 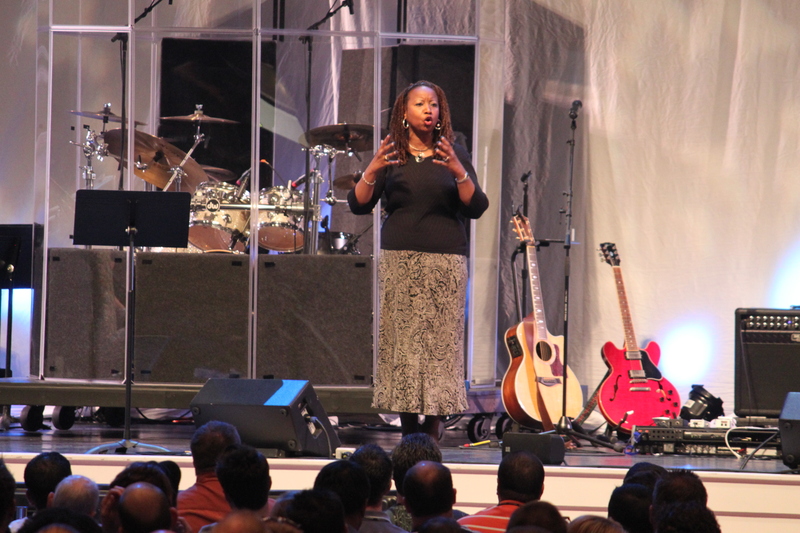 Can’t separate being a multi-ethnic church from being compassionate. His dream was, God willing, a multi-ethnic church of 1000+ impacting the city. Someone said, if you see 1000, you’d better get out of the city, because suburban middle class people will not go into the city. Efrem’s church proves otherwise, that it is possible to be Christ centered, multiethnic, in the heart of the city with all its challenges, and see the Kingdom of God advance. Pour some principles and practical theology into core team. Their core group’s worship = potluck meal, one or two songs, low key, sat on stool with music stand as people sat around tables taking notes, bible studies. How do you create an ethos, values, culture amongst your core team, so they practice amongst each other, what you want them to carry to the surrounding community? 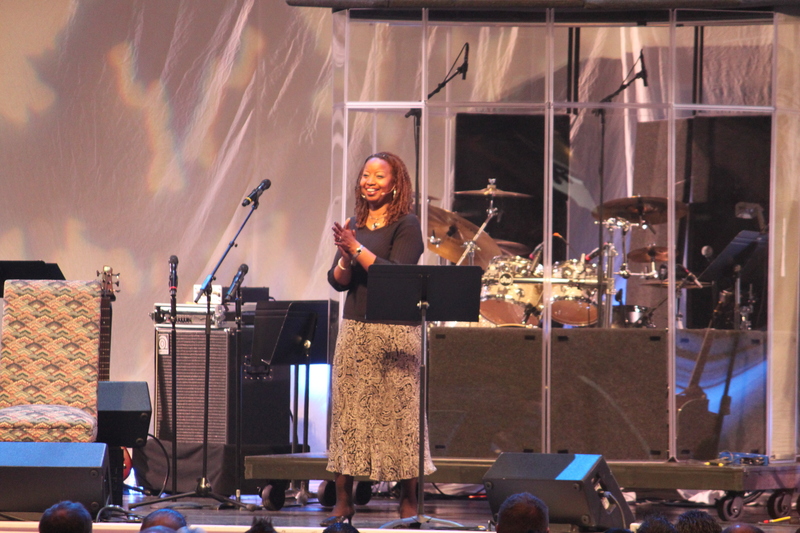 Recent college grads are looking for a post-black, post-white, post-brown church. They’re confused if we’re preaching making disciples of all nations but the church doesn’t live that. As we digest one another’s foods, we must be willing to digest one another’s stories. We weren’t going to try and do all kinds of music to reach all cultures. We are all here to serve. 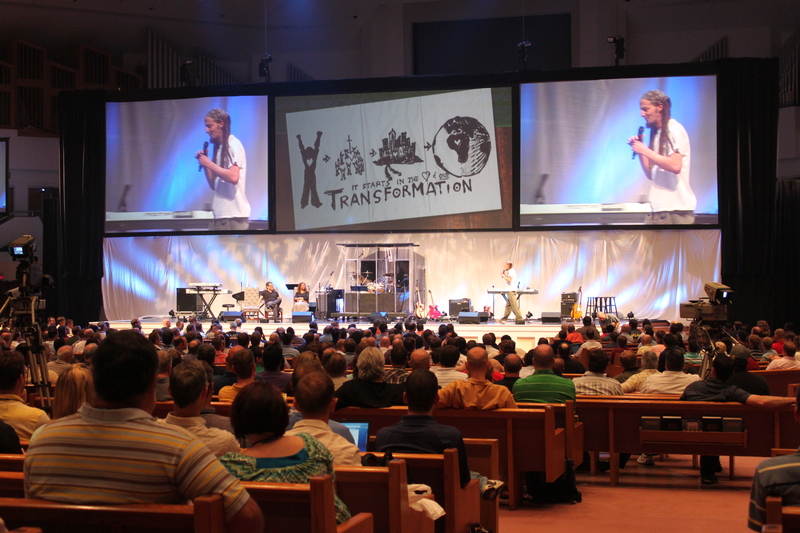 How do we “behold” Jesus and let his glory transform us? Isn’t Ephesians 1-2 just the gospel? God is at work. The church doesn’t need to be saved. The church needs faithful men and women who will preach the Gospel out of a pure heart. 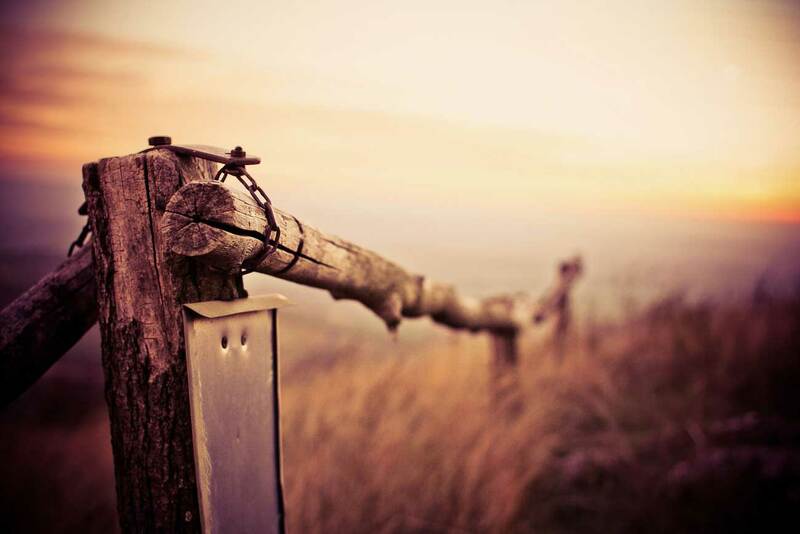 Church planting isn’t a new thing. Acts 2 went really well and then there were the Corinthians. This job is not better than Jesus Christ. Who would have put their money on a Jewish rabbi and his 12 inexperienced followers? Eternal life as not real attractive to those whose lives aren’t working right now. Go to an ego-anonymous meeting and get over it. 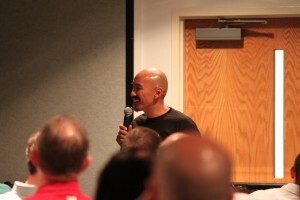 This morning’s two sessions with Francis Chan were the last of the Exponential pre-conference. 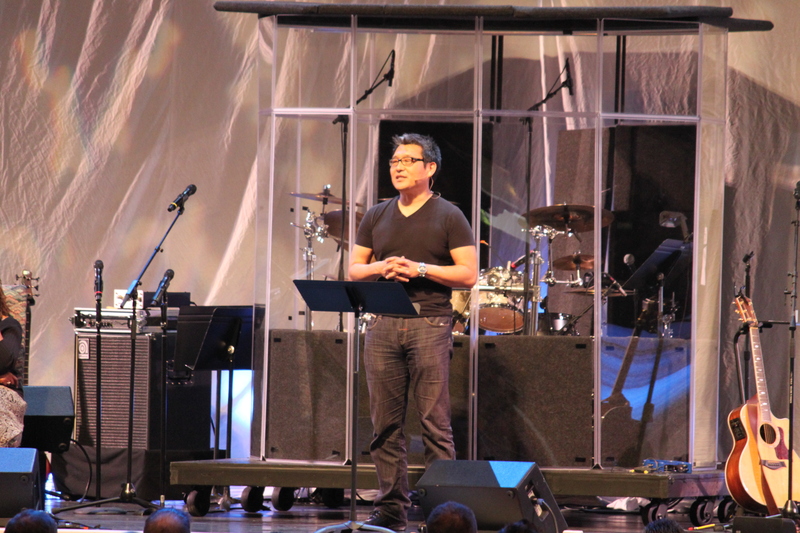 Chan is the high-profile lead pastor of Cornerstone Church in Simi Valley, California. Just two days ago, however, he announced his resignation, and this topic dominated his powerful message. 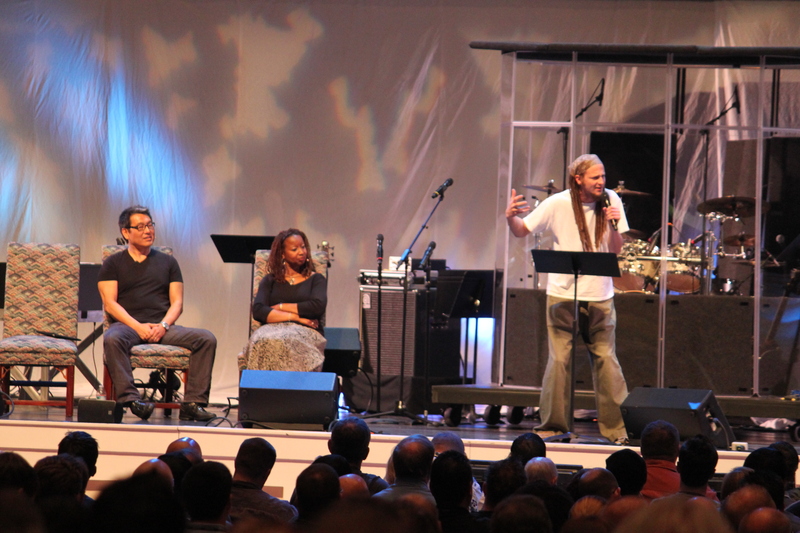 Chan shared his upcoming transition as a response to Jesus’ call to deny himself and simply trust in the Lord again. He looks forward to “serving in obscurity” and “being a human” again. He says Sunday’s announcement made for a rough day, but was so thrilled with his wife’s part of the announcement that he played it on video. She described feeling a “gravitational pull to safety” for her and her family, but will push against it in order to follow Jesus out of the suburbs, and into the inner city. Chan suspects his resignation will lead him to inner city Los Angeles, but plans to do prayer walks in other major cities first, as well as spending time in Thailand to fight human trafficking. He describes this as a return to following Jesus as the Bible describes. He laments the contemporary Christian ability to take Jesus’ commands metaphorically, particularly the Great Commission. He illustrated this beautifully describing a scenario where, if he told his daughter to clear her room, she might respond by saying “Dad, I’ve memorized your command” or “I’m having friends over to discuss how making disciples might look in my life.” Chan wants to move on from this disobedience, so that he and every Christian can identify whom they’ve discipled in response to Jesus’ command. 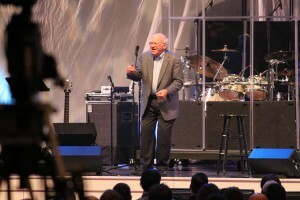 Chan was a convicting speaker, not least because he was actively living out his message. He is sacrificing the fame, fortune and safety of suburban megachurch ministry to follow Jesus. He “wants to go back” to a childlike faith. “If I read the Bible for the first time, I would never conclude I needed to pray some prayer, but I would conclude I need to follow Jesus. If I read the Bible on a desert island, I’d never decide I needed to start a Sunday service, my priority would be discipleship. 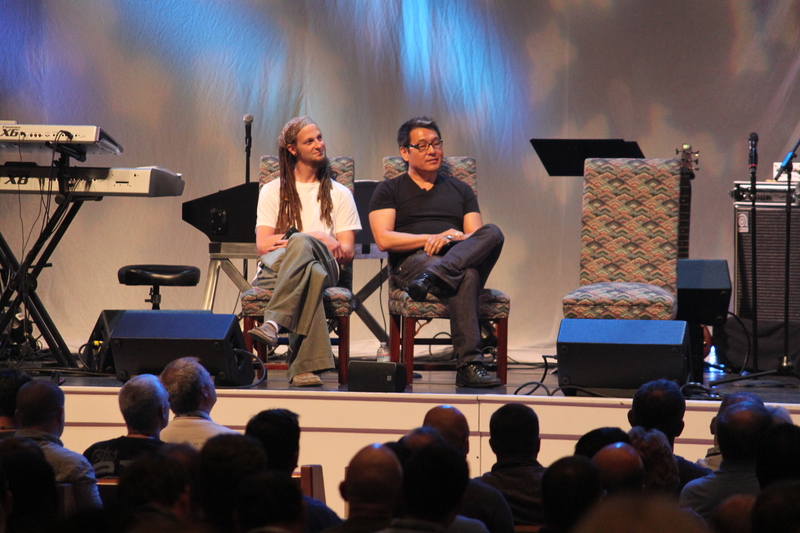 Lots to ponder, hearing Chan’s teaching, and seeing him live it.